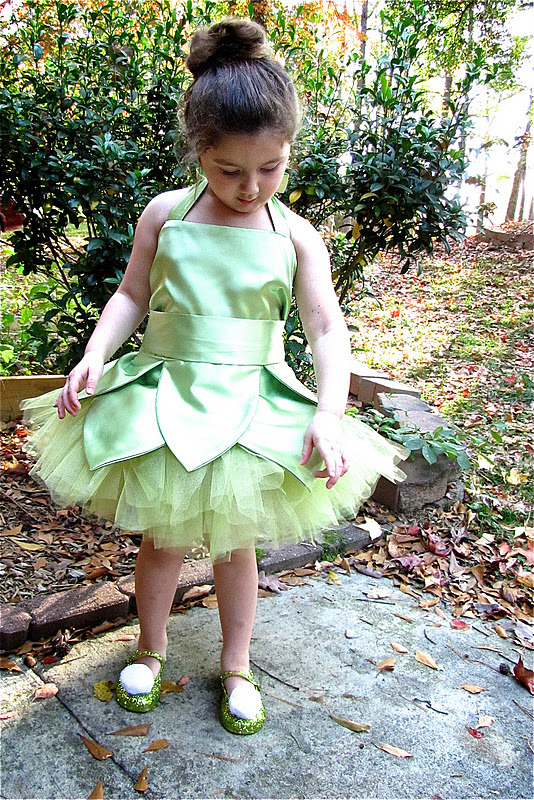 Today I'm going to show you how to make the tutu that goes with this tinkerbell costume. It's so easy!! 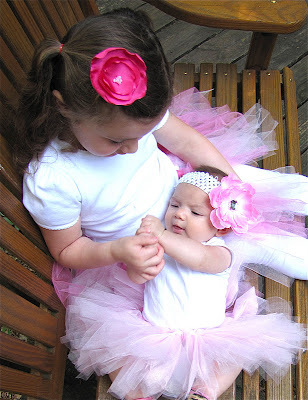 First you start by measuring around the waist of the girl who will be wearing the tutu. You want to subtract about 2 inches from this measurement because as you tie your tulle around the elastic it will stretch making it bigger. Cut your elastic to size and sew it together. If you don't have a sewing machine this would be easy to hand stitch also, or hot glue or staple... whatever you have. The amount of tulle you need will be determined by how poofy you want your tutu to be. I like them nice and full so I used around 2.5 spools. Now you're going to determine how long you want it to be. Then you're going to double that measurement and add 1". For example I wanted Claire's to be 11" long so I cut my strips at 23". I cut out several strips to get started and added more as I needed them along the way. I stacked them in piles of 3 since I tied them around the elastic 3 at a time. 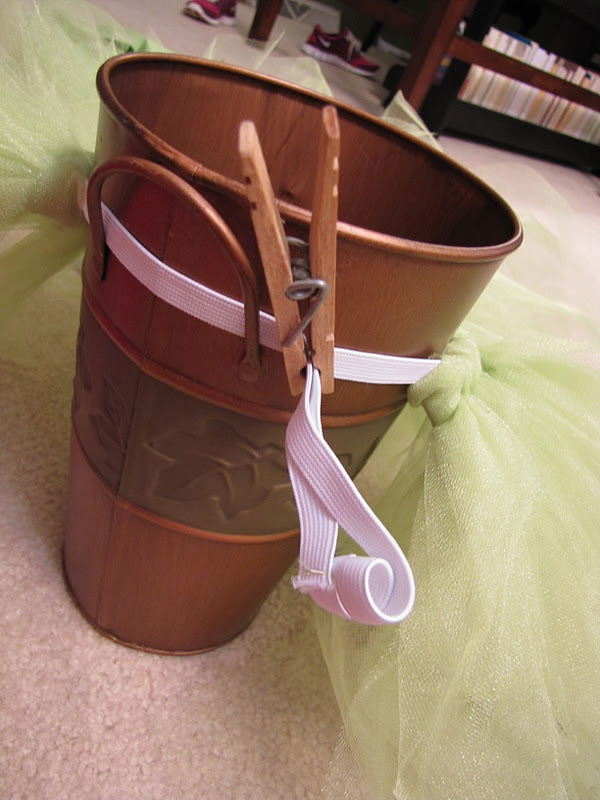 You can do more or less depending on how full you want your tutu. 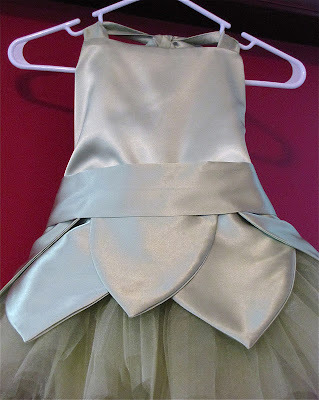 Now you're ready to tie the tulle. You need something round to hold the elastic on while you tie the strips. I secured it in the back with the clothes pin to hold the elastic tight while I tied on my tulle. Now take your pile of 3 strips of tulle and fold them in half. Hold it behind the elastic like this. Then take the end and pull it up through the hole. Keep going until you've made it all the way to the end. You may want to try it on your little girl when you get close to the end just to make sure the elastic hasn't stretched to much. A lot of times I will have to cut the elastic a little shorter and sew it again. 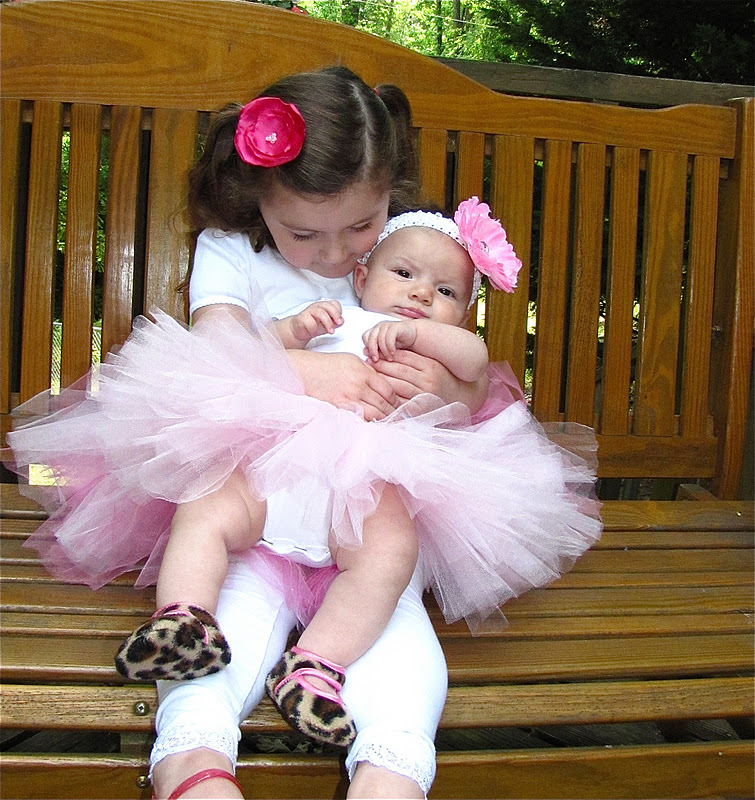 More tutu pics and my little sweeties. You might also be interested in this fairy wand tutorial. LOVE. LOVE. LOVE! Where did you get the pattern for the Tink dress? !